... As just noted, the most significant function of most zoning boards is to act on requests for variances from the dimensional or area standards contained in the zoning ordinance. In some states, however, zoning boards are also authorized to grant "use variances," allowing an otherwise prohibited use, based, in part, on a showing of hardship -- similar to the criteria for dimensional variances. In many states, zoning boards act on requests for "conditional uses" (also sometimes called "special uses" or "special exceptions"). These are uses which may be allowed in one or more zoning districts provided they meet criteria listed in the ordinance. Conditional uses are commonly employed to allow uses which might, in certain circumstances, generate substantial amounts of noise or traffic, or otherwise be incompatible with the neighborhood. Unlike use variances, conditional uses are specifically listed in the zoning ordinance. Different zoning districts often have different lists of conditional uses. Criteria for the granting of conditional uses also do not involve an examination of the financial "hardship" to the property owner if the use is not allowed, as is the case with use variances. Instead, as noted, the review criteria focus on ensuring that a proposed use will not have an adverse impact on neighboring uses. For more on this topic, see "Special Permits: What They Are & How They Are Used," by attorney Neil Lindberg. Given the variations, I encourage your commission to ask for a briefing on variance procedures from your staff or from your municipal attorney. 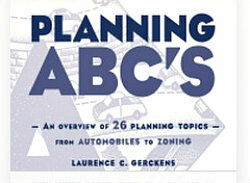 So what does any of this have to do with planning and the job of the planning commission? 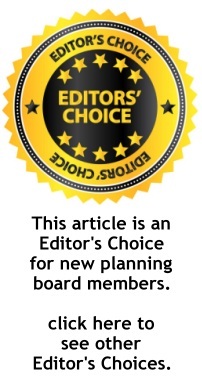 As PCJ readers know, the entire planning process, beginning with the preparation of the local comprehensive plan and ending with the adoption of a zoning ordinance designed to implement the plan, is the special province of the planning commission and the local governing body. The zoning board is not directly involved in this process. Nevertheless, the BZA's actions can have a significant bearing on the degree to which adopted land use policies are implemented. Unfortunately, some BZAs will vote to grant virtually any variance request before them, ignoring the ordinance's strict criteria for the granting of variances. In doing so, these BZAs, knowingly or unknowingly, chip away at the integrity of their community's zoning ordinance by allowing one or more individuals to function outside the purview of the adopted community zoning standard. 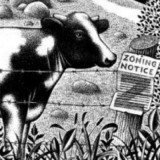 As one commentator has noted, "granting indiscriminate variances or special favors can eat the heart out of good zoning quicker than any other action." This course of action, if repeated, will ultimately undermine the value and usefulness of the community's zoning, as well as planning, policies. Conscientious zoning boards, in doing their job, can aid the planning commission by spotting problem areas within the community's zoning ordinance. For example, frequent requests for variances from a particular provision (or provisions) of the zoning ordinance may well indicate a need to re-examine this portion of the ordinance. The zoning board and planning commission should be sharing this kind of information.